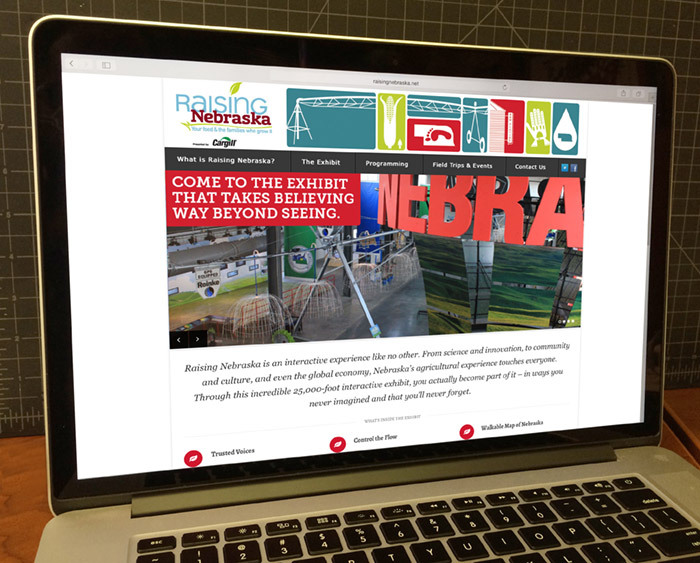 “Raising Nebraska: Your Food and the Families Who Grow It” is an interactive exhibit at the Nebraska State Fair grounds that opened in 2014. It is dedicated to help people understand the source of food, the science and technology of agriculture, the role of agriculture in the state’s economy and the importance of Nebraska agriculture in feeding the world. The creative team at Lovgren developed a complete branded marketing campaign, implemented across both print and digital applications. 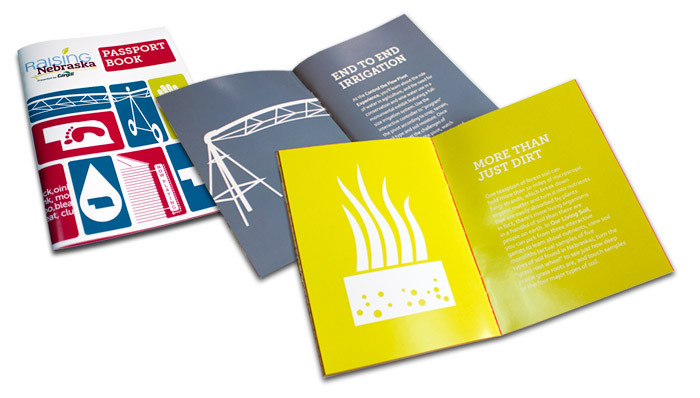 The cornerstone of the materials were custom illustrations that were used as tiled icons, interchanged with large blocks of copy and solid one-color backgrounds, on everything from booklets to the website. 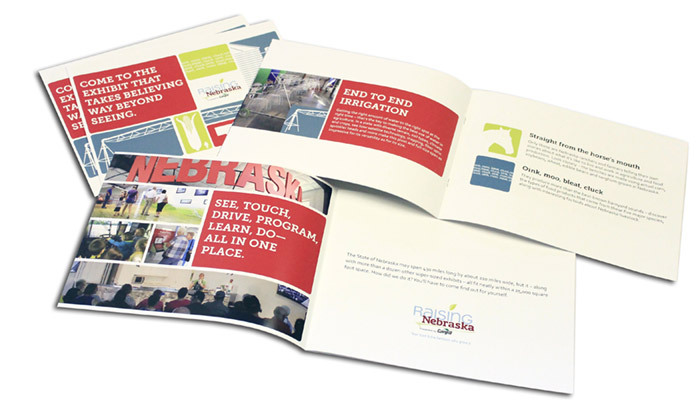 Passport booklets with a spread on each exhibit in the space, handed out to state legislators and other dignitaries at the “2016 Governor’s Breakfast” held on the first Saturday of the State Fair. Website for the exhibit, built entirely from the ground-up in WordPress. 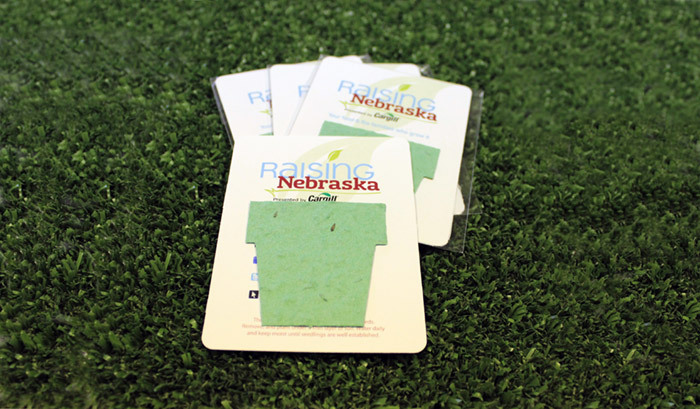 Business cards with lettuce seeds on a detachable planter-shaped card attached to the front of the card.